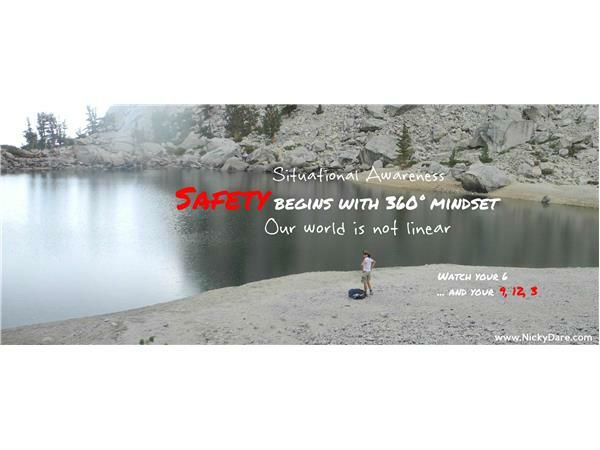 Your mind is the best safety tool to heighten your awareness to shield yourself from imminent danger or the threats of danger that you reasonably believe in. Just being aware of environment is not going to stop a situation, but it will give you an advantage and edge over people who are NOT aware. Use and apply the 360° mindset. Because our world is not linear! 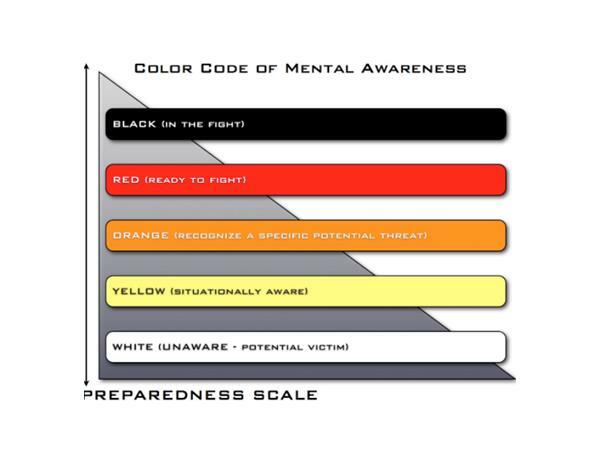 Learn the color codes of situational awareness that may save your life. Nicky Dare is a certified firearms instructor (shotgun, rifle, handgun), also an RSO Range Safety Officer. She teaches private and group classes. Please call or email her in advance to book your class! If you are interested to SPONSOR our shows or events, please contact or email us.